The difference between the previous depression and the future depression will be that in the previous one there was little inflation, but the future depression will be associated with inflation. Hence, it will be more detrimental to the integrated development of human society. This depression will occur in the industrial subsection of the commercial economy. It will have widespread and devastating consequences for humanity. An endeavour should be made to shorten the span of this economic depression. Before the final culminating point comes, it is possible to avert the disaster and accelerate the speed of social movement. 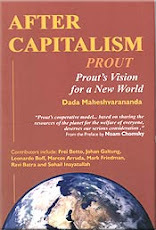 We can do so by creating a socio-economic and cultural impact on the entire social structure through PROUT. Years ago when I was walking by the Berlin wall and said that communism must go it was a dream, but now that dream has been transformed into crude reality. This is a natural change, not a catastrophe. Be ready for the coming changes; be prepared for them. They are something natural. They are not an unprecedented calamity or catastrophe, or a great adversity. In this way human beings are advancing and will continue to advance in the future. In the absolute sense there cannot be any progress in the physical and psychic spheres; nor can there be any progress in the relative sense, either. However, the very endeavour to move ahead has its own importance. This endeavour has made human beings glorious and superior. No one today is alone; even the small countries of the world cannot live separately. We will all have to move together in unison – this will be the model for the future. Casting aside all their inertia and prejudices, intellectuals will have to mix with the common people and engage themselves in their welfare. They will have to assist the common people in their development and extend their support to all anti-exploitation movements. This approach will help to root out exploitation, stabilize the structure of society and expand the intellectual standard of the common people. Human society will move forward to a brilliant future with rapid steps. Farming projects should also cultivate some selected items for special emergency survival. These include vegetables, pulses, potato and fodder for dairy cows to ensure milk production. All farming projects must start the production of these items immediately. They are the minimum items necessary for physical survival. These items will ensure your survival in any difficult times that may come in the future. The same polarization is taking place now as occurred in the past: the honest people are with you and will remain with you; the dishonest people win oppose you now and will continue their efforts to block your progress in future. It has been stated above that there is no progress in the physical and intellectual spheres. So should all efforts in these fields be stopped altogether? Should there be no effort to develop physical sciences? No, we shall continue to make efforts in these fields, also. We have only to be cautious about the effects of such efforts on human society, human mind and even human physique. What happens with the so-called progress in the physical sphere is that the speed of life gets a quick momentum which effects the nerves. The effect on the nerves increases the function of the cranium and it results in the weakening of the heart. 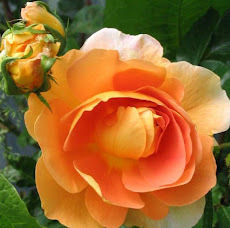 As a natural consequence, to the extent the physical sciences will advance for physical progress, the diseases of the heart and mind will increase in the same proportion. It will be noted that many so-called civilized people cannot sleep as their nerves are under strain…This is the result of so-called progress in the realm of physicality. In the future, the physical structure of human beings will be effected by these factors. The nerves will stiffen and the cranium will become larger…This change will come soon and fast. The so-called intellectual progress effects the mind intensely. The nervous system and mind are not the same. The nerve cells are physical and any disease connected with them is, therefore, physical. What we term as madness is either due to nervous disorder or mental disorder or both. The progress in the intellectual sphere will result in a greater clash of emotions and will consequently increase insanity. There will be a noticeable growth of mad people in society. This will make it even clearer that intellectual progress is no progress. The real progress is only spiritual. In the spiritual field, due to the absence of the reactive momenta, there is no retardation, there is only movement forward. This is the nature of true progress. And this goal, when human society will be established in this supreme idea in the very near future, will produce a more constructive human society according to a plan. The humanity of the universe will unite; and we await anxiously that happy moment. The proper thing is for all members of the society to move in unison; and while moving together, each member should feel a responsibility for every other member of society. Those who are unable to move must be carried so that the rhythm of the collective movement remains unbroken…But in the future, human beings from other planets and satellites will join our movement; we will have to build our society together with all. We will have to look upon this whole world as an integral entity. No problem is greater than the human capacity to solve it. Like all problems confronting humanity, the problem of population growth should be tackled and solved in a proper way.